A20AN-200-5 – #5 Tooth made out of composite resin and epoxy resin. 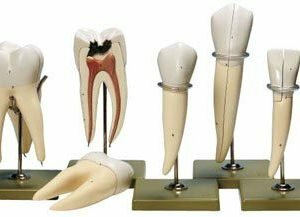 Anatomical crown, straight root, two colors distinguish between enamel and dentin. High speed cutting practice. Price is per tooth.